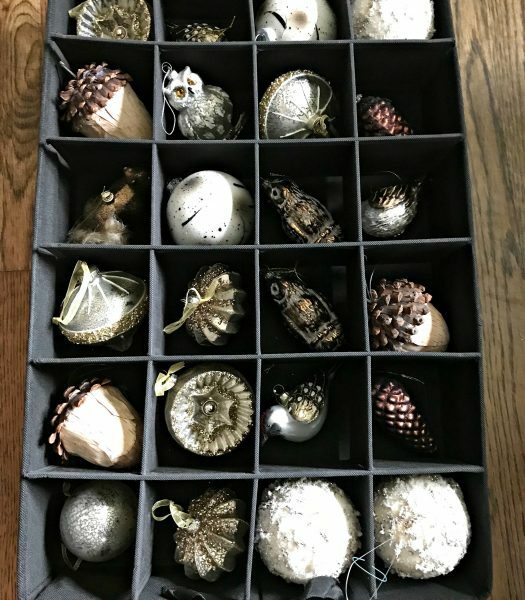 Now that the holidays are over and we’ve taken down the Christmas tree, we’re left with piles of decorations we need to store away until the next season. 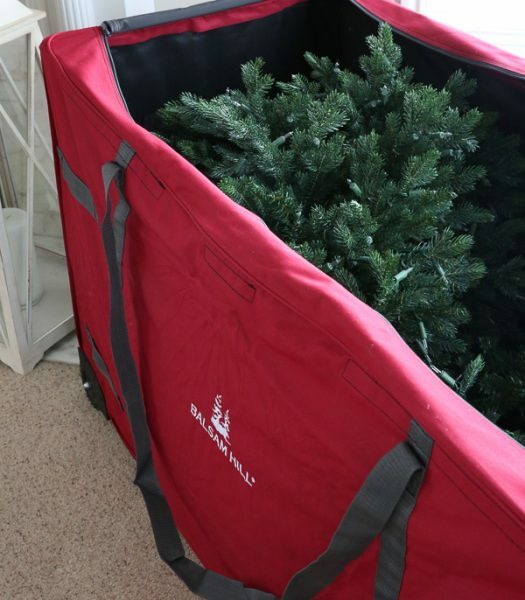 While it’s easier to put them all in plastic bins or boxes, doing so can cause tangles and breakages. 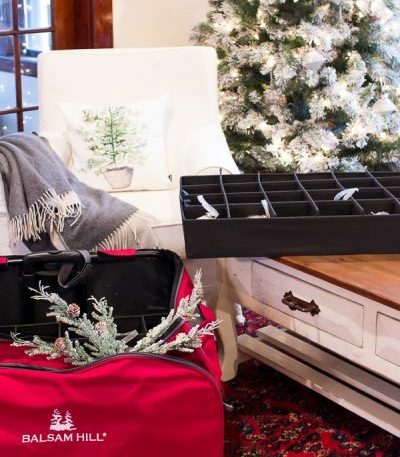 Our blogger friends share smart and simple Christmas décor storage solutions, to keep our treasured decorations beautiful and intact for years to come. 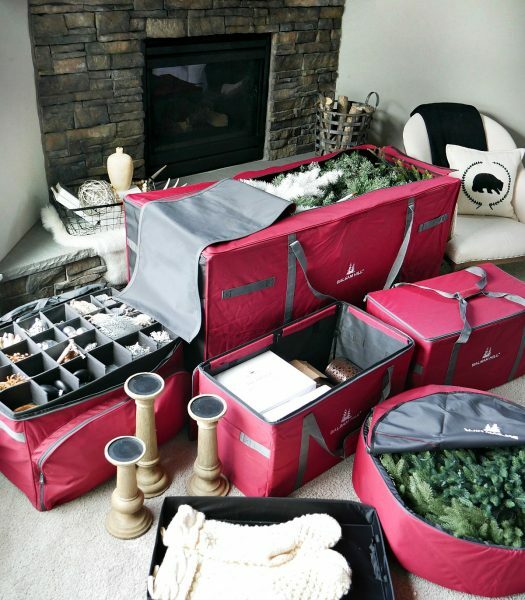 Packing decorations away for another year brings a strong feeling of satisfaction, since it adds some order back in our lives after the holidays. Store away all the items that go in one room together, to make it easier to retrieve them for decorating next time. 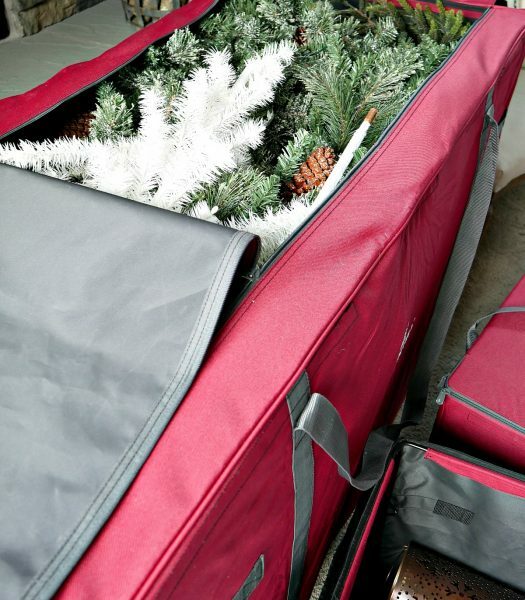 Our Multipurpose Storage Box is perfect for securing smaller items in one place, while saving space at the same time. 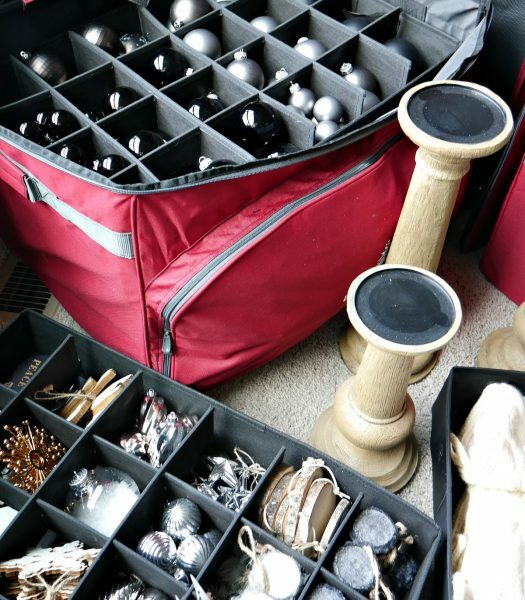 Tiered storage containers are great for keeping variously shaped ornaments safe. 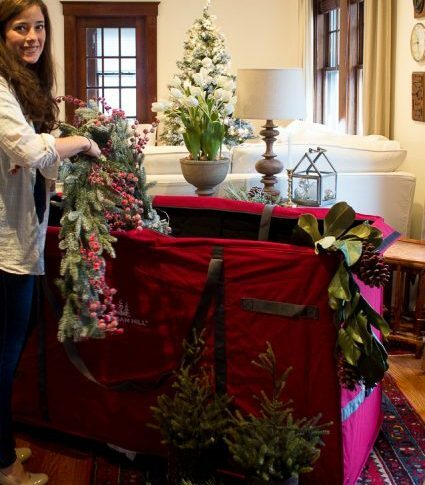 Separate items with irregular shapes on the top tier to avoid getting crushed by another layer, and arrange other items such as wreaths, garlands, and other greenery in appropriate storage bags. 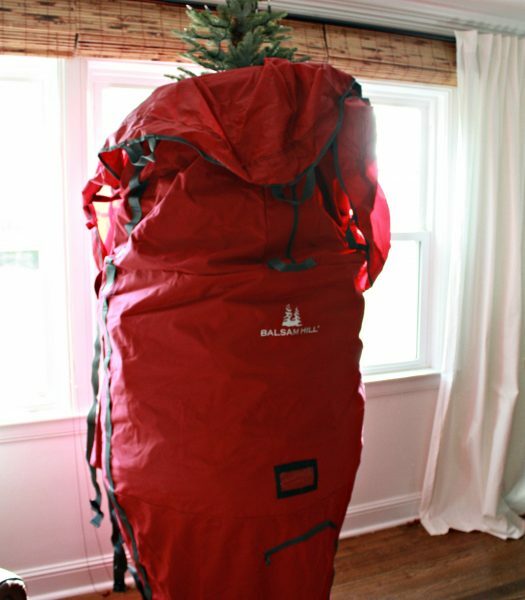 Remember to place heavier items at the bottom, and lighter or more fragile items up top to ensure safety. 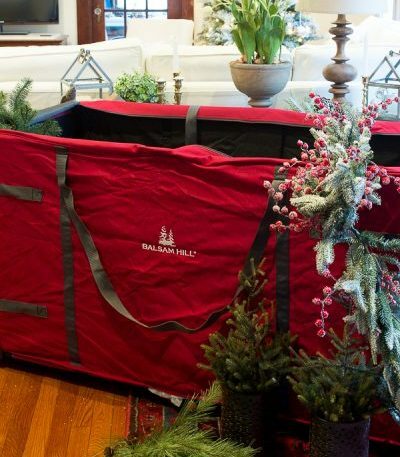 Cardboard boxes aren’t the most ideal choice when it comes to storage and protecting your Christmas décor. 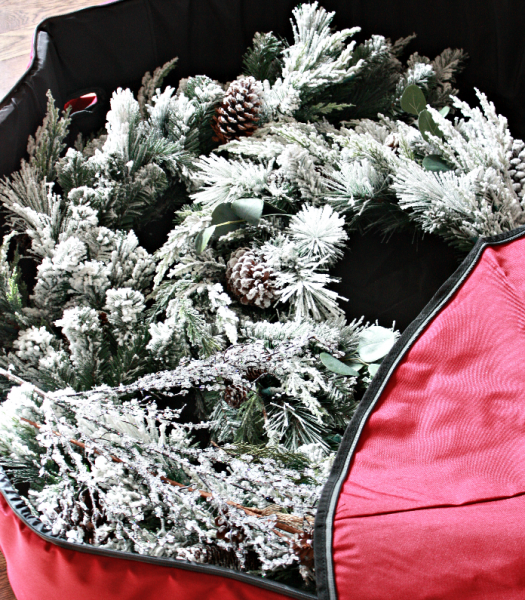 Pack your holiday items wisely by choosing proper storage. 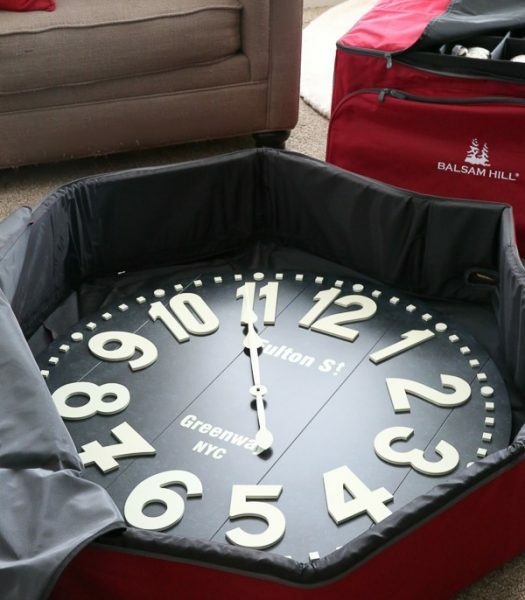 You can combine several items and fit them all together, provided that your storage bag has ample space. It’s also important to secure your delicate ornaments by using an ornament chest that safely (and quickly!) houses fragile items. 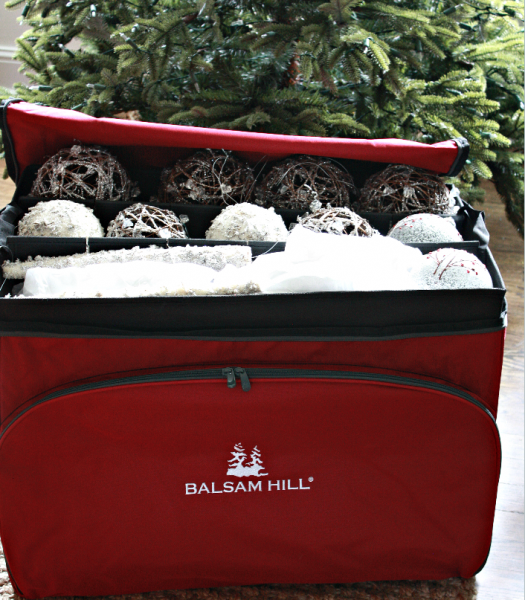 A sturdy rolling ornament chest is best to keep your ornaments organized. 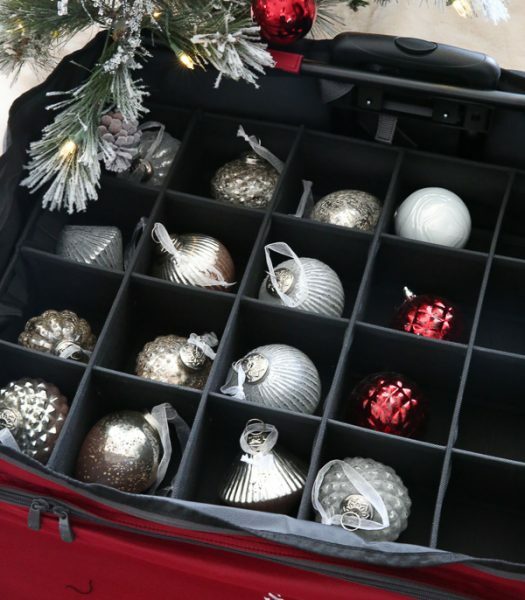 Place smaller pieces within its divided trays, while larger ornaments can still fit by removing the dividers. 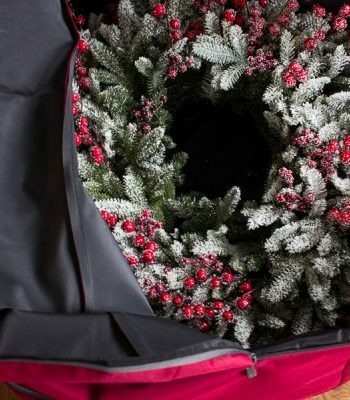 Large wreath storage bags are ideal, as their extra space can make room for other foliage like matching swags or garlands. Store smartly by adjusting your storage space to accommodate other items in an organized manner. 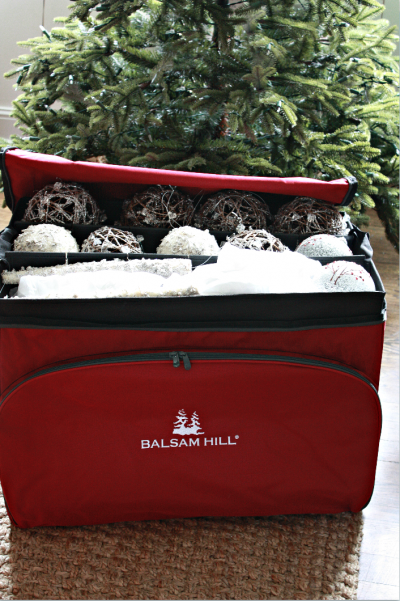 Putting your Christmas items away after your celebrations doesn’t have to be a daunting task. 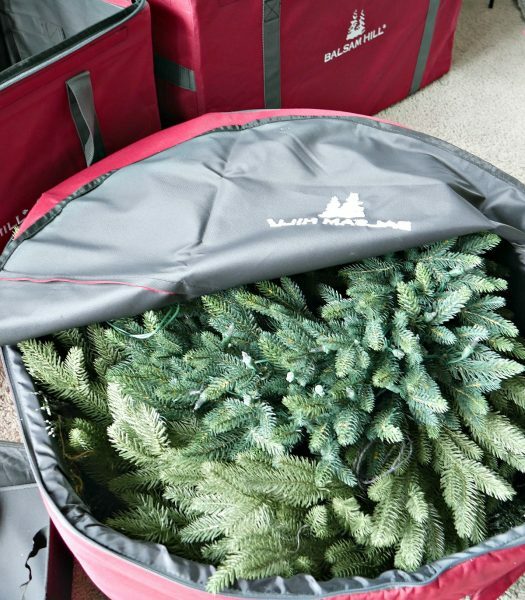 By following these easy tips, you ensure proper storage and protection for your treasured trees and ornaments for years to come. 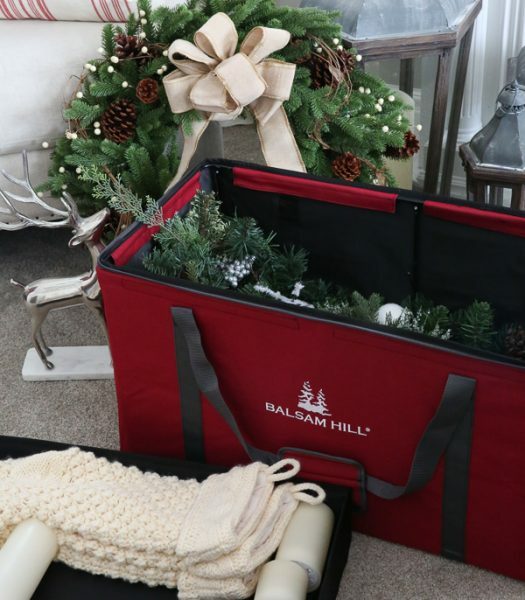 Browse more storage bags and accessories on Balsam Hill for storing with ease after the holiday season.